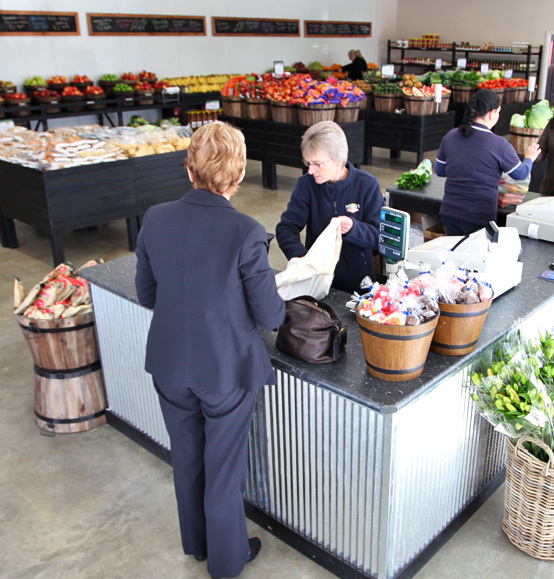 Established in November 2003, Peach’s Fruit Market is Regional Victoria’s leading Fruit and Vegie retail outlet. The Petrie’s have a long and successful family tradition in the fruit & vegie industry, with over 40 years’ experience in the local market. From humble beginnings at Valipeids Fruit shop in Sturt Street, Charlie Petrie began the family’s involvement within the industry and quickly developed a reputation for his warm welcome and quality fruit and vegies. Having worked in the Costa Group it was a natural progression for Mark and Kate to continue the family tradition and they purchased the business in 2003 and continued to operate the store from its Coronet Street in Wendouree. Over the years the family’s connection with the marketplace has grown with a chain of retail outlets throughout Victoria. Today Mark & Kate’s talent as greengrocers and enthusiasm for the business is evident in the presentation of their local produce markets in Ballarat, Horsham, Warrnambool, Ararat, Torquay, Grovedale, Hamilton and St Arnaud. With a lifetime of knowledge and experience as Fruiter’s, the Petrie name continues to be well respected as Mark and Kate teach the next generation of Petrie’s the value of hard work and good customer service. 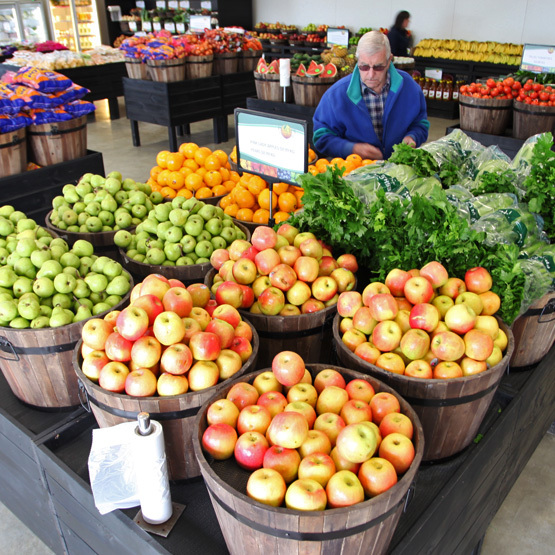 Peach’s Fruit Market vision is to supply the freshest fruit & vegies to the country. Supporting the community through local clubs and association and working co-operatively with our valued partners. Peach’s continue to build on their proud history with over 70 locally employed staff. Our aim is to deliver our customers unsurpassed choice and the best produce available all year round. We are very grateful to the people who have shared our journey and continue to contribute to our success. 1961: Charlie & Betty Petrie open Valpied Fruit Shop in Sturt Street. 1970: Valpied Fruit Shop changes ownership. 1973: Fruit icon’s the Costa Family (Geelong based) purchase Bennet’s. Charlie Petrie appointed Manager. 1983: Mark Petrie begins his career with Costa Fruit & Vegetables. 1986: Mark promoted to Victoria Buyer in the Melbourne Market. 1993: Mark appointed Geelong Retail Manager. 1997: NSW Business Manager of Wholesale based in NSW including serving IGA chain & Coles Department Stores. 1998: Upon Charlie retirement from Costa Fruit after 35 loyal years, Mark transfers back to his family roots in Ballarat to continue his successful operation as Ballarat Manager. 2003: Mark & Kate Petrie open Peach’s Fruit Market.